International Mission Teams: 2014 Team Members Needed in Ecuador! Please join us in helping the children of Ecuador. SIFAT offers you that opportunity now! We need team members on several of our scheduled teams to Ecuador this year. Below, you will find dates for teams that need additional members and a summary of the project. We also have weeks available if you are interested in leading a new team from your church, school or community. Please contact Peggy Walker, SIFAT team coordinator, at walkerp@sifat.org or 256.396.2015 if you are interested in joining or leading a team in 2014. 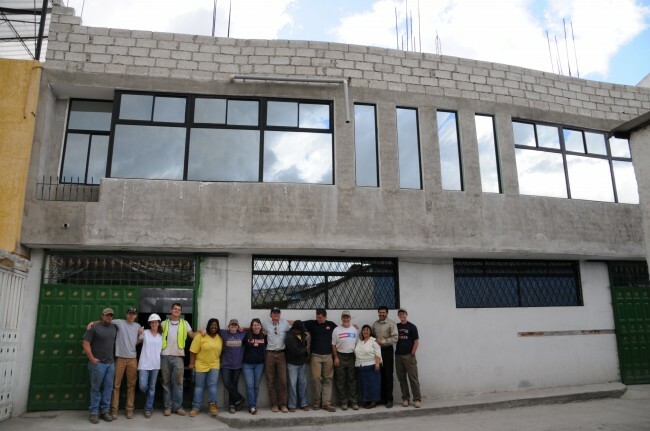 This year, SIFAT teams will return to Villa Flora to begin work on the third floor of Pastor Rafael and Anita’s church. Teams built the first two floors in 2009 and 2010. Doctors and nurse practitioners are also needed on several medical teams this year. We still need an additional five (5) construction/VBS teams or medical teams between August and November of this year. Abuja, the gleaming capitol of Nigeria, is filled with neatly landscaped roads and extravagant buildings. It’s wealth, however, is matched by its poverty. The creation of the capitol city of Abuja in the 1980’s displaced many people from the area as well as created an attraction for newcomers. The majority of the new citizens cannot afford the expensive housing in the city, and urban slums have sprung up to house these families. It is into this environment that participants stepped during Learn & Serve’s fifth-annual “48: A Slum Experience.” Seventy-five youth and adult leaders participated in the event, which was hosted on SIFAT’s campus January 18-20, 2014. During the event, youth and leaders were invited to live as the citizens of urban slums of Abuja to experience the material poverty of these communities first-hand. Participants lived in Learn & Serve’s simulated urban slum for approximately 48 hours while working to provide food, water, and shelter for themselves and their family groups. 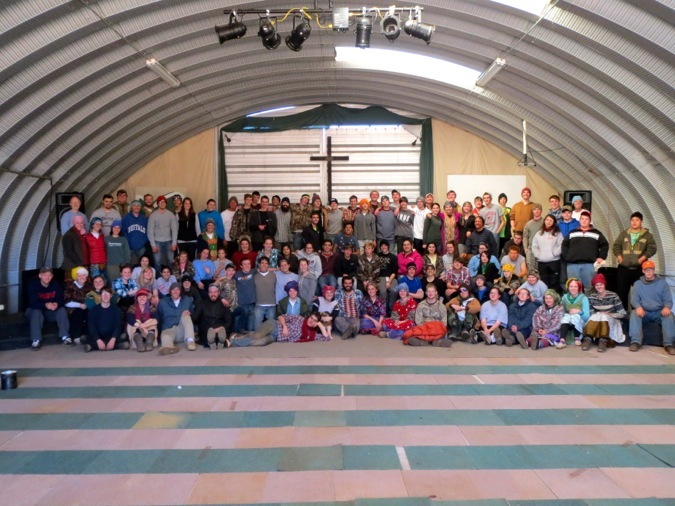 75 participants and 30 staff and volunteers participated in this year’s 48: A Slum Experience Retreat!